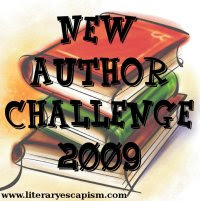 Literary Escapism is hosting the New Author Challenge for 2009, which runs all of 2009. 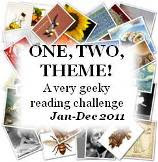 Each participant can decide how many new authors they want to try. I won't set a number, just list some that I've been wanting to read for a while. For the full rules and sign-ups, see the challenge post. This is a challenge that I'm really excited about this year. I've never counted the "new to me" authors I've read in a year. I signed up for 50. Yikes! PS I think you'll really like Paul Auster!